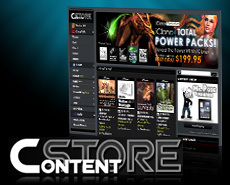 Besides Reallusion Content Store, now we provide other content platforms for you to get the desired content. You can refer to the following info to find out more about the 3 ways that you are able to access your content. Which Content Platform Fits Your Needs? Reallusion’s Content Store is a place where you can find premium content packs from both Reallusion and highly skilled independent developers. Reallusion City’s Marketplace is a complete C2C platform which is designed to provide "try before you buy" and "item-based purchase" content live access experience. 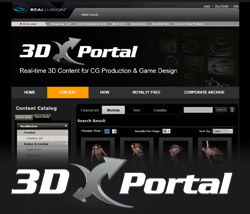 Reallusion's 3DX Portal is a platform for providing iClone content with export license. You can try the content in 3DXchange5 before you buy and export to popular 3D format for use in Game or CG software. *Live Direct Access: After you purchase the content, the order will be listed in your online inventory. Then, you can login to download and install it in the same time. *Content Trial: It depends on the DRM supportive format and the vendors’ setting. DA (Direct Access) Points are the currency we use for City Marketplace and BackStage. A Direct Access Point, or DA Point for short, is just like electronic money that you can use to buy or activate all the content found on the inventory.